Debt settlement is the process of negotiating with creditors to pay less than what you actually owe in order to lower the debt. Debt settlement is the process of negotiating with creditors to pay less than what you actually owe in order to lower the debt. Debt settlement is offered by a lot of companies against some fees. These companies promise to negotiate with your creditors to get you debt relief. In these tough financial times, consumers are more and more turning to take professional debt settlement companies' guidance. It’s very important to be aware while choosing the right debt settlement company. You need to keep your eyes open to stay away from the company who can wash away your leftover savings. Mostly, companies who promise to settle your debt for less than what you owe, charge high fees and don’t deliver what they promise. It shouldn't shock you to know that debt settlement scam actually exists. You can easily find people in a vulnerable state suffering from financial hardships, and then there are people or companies who take advantage of them. The first step you should take to avoid in getting into any kind of scam is to educate yourself. You must be aware of all debt relief options before deciding on debt settlement. It’s crucial to choose a program that suits you the best after studying all your financial details minutely. You shouldn’t be carried away by companies who offer quick relief to your financial problems. 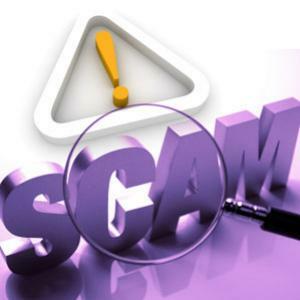 Below are mentioned a few debt settlement scams you should be aware of. You’ve to be wary if you find that your debt settlement company wants you to pay their fees up front before any of your money is used to settle your debts. They start making commitments without even knowing your financial stand. They promise you quick solutions without a detailed discussion about the plans or future prospects. They ask to you stop contacting your creditors, whereas, the truth is, they hardly have any influence on your creditors. The payment schedules of the debt settlement companies are very confusing and also high. They want you to pay a hefty amount at the beginning of the program and monthly fees is also charged. They might also charge their fees from the payments you make for your debt settlement fund. The fees structure is mostly very confusing, so it’s important to pay attention to the details. Reputable debt settlement companies don’t ask you pay a high fees before any tangible service. You might notice that the salespeople are eager to sign you up for the program without having a detailed discussion about your debts. The salary of these people are based on commission. Therefore, the more people they are able to sign up for the program, the more they get paid. Unfortunately, these polite people only think about their commission, hence, enrolling people in debt settlement who actually might not need the program. This is the most important contributing factor to the scams involved in debt settlement. The debt settlement company asks you to stop any kind of contacts with your creditors and also stop paying anything to your creditors. When you stop taking their calls and stop paying them, they can sue you if you’ve assets. If they win, they can garnish your wage and also go for your assets. If the debt settlement doesn’t explain you these things, you should start looking elsewhere. The debt settlement company charges upfront fees or monthly fees and also take your payments in debt settlement fund every month. They do nothing in the beginning stages of the process of settling your debts. In fact, they might not do anything later also, even after 6 months. The debt settlement company doesn’t take any guarantee of settling your debts, hence, you might end up losing your savings. Of course, you’ve worse credit and higher debts due to interest and penalty charges. You can check BBB accreditation on the company's website. If it's a fraud company, you won't find any ratings. It’s important to do your homework and check thoroughly the company you opt for before signing and paying anything.